A new study (PDF) from Texas-based digital savings company RetailMeNot, Inc., finds almost half (47 percent) of small business retailers struggle to keep up with the latest trends in mobile marketing. “Part of the evolution of marketing includes a growing reliance on upcoming technology. Often these advancements are created and adopted by consumers so quickly, retailers often find themselves unable to keep up,” wrote RetailMeNot in a quote from its study. About nine in 10 small business retailers said they will increase their investments in mobile (92 percent) or social (89 percent) advertising in 2017. However, one in 4 (25 percent) of these retailers said they do not have the ability to tie their mobile marketing efforts to in-store sales. This means they are not able to gauge the true success of their current mobile marketing tactics. They are also missing out on key opportunities to provide customized offers or push notifications to help complete the shopper’s journey. One way retailers (53 percent) are overcoming the challenge of tracking or tying their mobile marketing efforts to in-store sales is partnering with marketing companies that have expertise in this area. Partnerships with mobile marketing companies like RetailMeNot are also helping retailers provide mobile offers to customers through owned and partner apps. 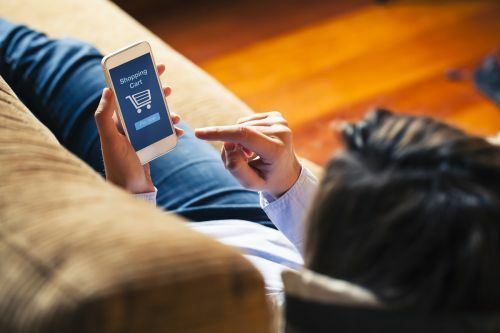 “Marketers should not underestimate the influence mobile marketing has on purchases made in all channels — in-store, online and on mobile devices,” said Marissa Tarleton, chief marketing officer of RetailMeNot, Inc, in a release announcing the study. “Equally as important is the ability to attribute sales back to mobile marketing efforts,” Tarleton added. NEW YORK — Three years into being a business owner, Becky Davis knew she needed to break the hold technology had on her. Davis, a marketing and management consultant to other small business owners, was so immersed in emails, texts and social media that she was getting only four or five hours of sleep a night and her husband said he felt invisible. It also hurt her productivity — she'd get distracted reading people's posts and realize she'd lost two hours of work time. "If you don't set some rules, guidelines and put some technology boundaries in place on using your phone, tablet or computer, they will run your life and can very well ruin your life," says Davis, who's based in Douglasville, Georgia. Many small business owners in tech overload are putting limits on how much time they spend on ever-growing modes of communication. For some, the antidote is more technology, such as apps or programs that filter emails. Others go low-tech, simply turning their devices off. Some tell clients they're just not available to answer emails and texts at night and on weekends. Davis now schedules time for social media posting and leaves her computer in another room at night. When she's out to dinner with her husband, she doesn't check email. For small business owners passionate about their companies, their dedication makes it hard to say no to the email or text that arrives at 10 p.m. The tipping point for many has been the explosion of social media sites that have some owners reading hundreds of posts each day, says Patricia Greene, an entrepreneurship professor at Babson College. "There are so many streams to manage," she says. Overload during work hours can also be a problem, Greene says. Owners who get bogged down answering emails and social media posts rather than spending time on strategy can see their work days lengthen. Justine Pattantyus has turned off most notifications, including email and Facebook alerts. The constant interruptions prevented her from focusing on doing work for the clients of her management consulting business. "How much time I was losing to responding constantly to those outside influences!" says Pattantyus, owner of Spark Life International. Pattantyus sets other limits. She lives in Lisbon, Portugal, but her clients are five to eight hours behind her in the U.S. If she has clients on Pacific time, they're in the early part of their work day as Pattantyus nears the end of hers. She shuts her computer down at 7 p.m. her time. Clients know that's the rule when they sign on with her. Kelley Weaver's company, Melrose Public Relations, is in Santa Monica, California, but she's in Chapel Hill, North Carolina, where her husband is in graduate school. Her employees start their days three hours after hers begins, raising the possibility of an extended string of texts and emails encroaching on her evening. Weaver uses the Slack messaging system with her staff for group and individual conversations that eliminate the stop-and-start rhythm of emails and texts. She also strives to go off-duty technologically at the day's end; she silences her phone and tries not to look at it. "When we go to dinner, I'll leave it home," Weaver says. But it's not always easy: "Part of it is second nature and breaking habits," she says. Aaron Norris says he's slowly gotten rid of his laptop at home for work after finding he was reading emails at 5:30 a.m. and spending time in the evening sorting through emails that he estimates were 80 percent spam. Norris, a vice president at his family's Riverside, California-based real estate business, The Norris Group, has also cut back on time spent on email at work and no longer tries to read every social media channel. "There has to be some peace or I just feel frayed by the end of the day," he says. Josh Nolan began putting a boundary between work and personal life — his own and his staffers' — about three years after his website design company, Bold Array, was founded. He was working over 100 hours a week as he and his staff of five tried to keep up with clients' questions, requests, emails and texts. "Things were getting a little difficult to manage," says Nolan, whose company is based in Costa Mesa, California. His solution: Clients are told Nolan will answer emails, phone calls and have meetings between 8 a.m. and 5 p.m. He'll answer texts and emails after 10 p.m. or the next day, keeping evenings clear. Weekend work is billed at a higher rate. "Once we started setting those limits and communicating expectations, it helped with company morale and not just going insane with the amount of work," he says.